Project Runway Season 10 - Coming Soon! Stay tuned to BPR for announcements about Project Runway season 10 as well as season 2 of All Stars. We're on pins and needles! Strawberry Banke Museum in Portsmouth, NH is holding a gala reception and fashion event featuring designs from Austin Scarlett, Epperson and many others. The gala is being held in conjunction with the museum's exhibit, "Thread: Stories of Fashion at Strawbery Banke, 1740-2012." Nick Verreos never slows down! 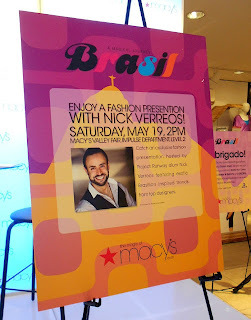 The Project Runway Season 2 designer hosted Macy's events in San Francisco and San Jose. He is also hosting FIDM events and selecting fashion design scholarship finalists. Project Runway Season 8 designer, Nicholas D'Aurizio has designed a fresh new handbag collection that is available this weekend during a trunk show at the New York City Fifth Avenue Henri Bendel store over Memorial Day weekend. Click here for a new interview with Nicholas. 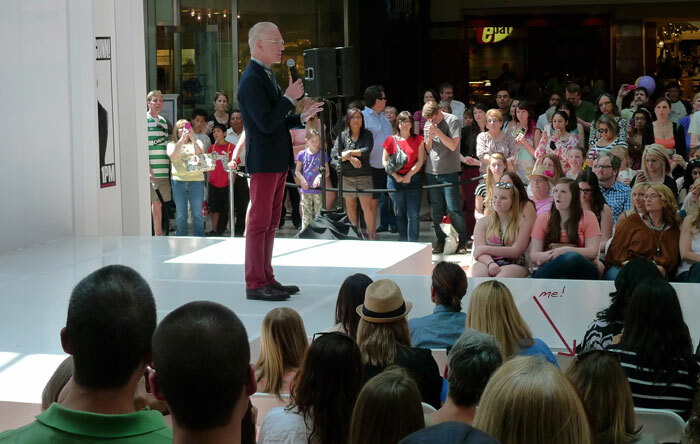 How did you get the trunk show opportunity at Bendels? D’Aurizio: There’s an open call twice a year for new designers, one in the fall and one in winter. 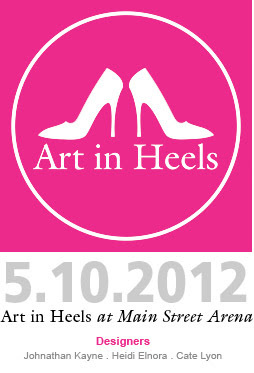 Basically you bring your accessories, line up at 9 a.m. until the doors open at noon. I went there in the fall last year and they saw my bags and said, “They’re cute, but not quite Bendels. Bring us your next collection.” So I showed them my next one about a month and a half ago, and they loved it. They requested a few different colors and wanted to see black. And now it’s happening! It’s great that they’re giving me four days, especially ones where there are tons of tourists in the city that will probably be stopping by the store. Click here to visit the Nico Lena website. 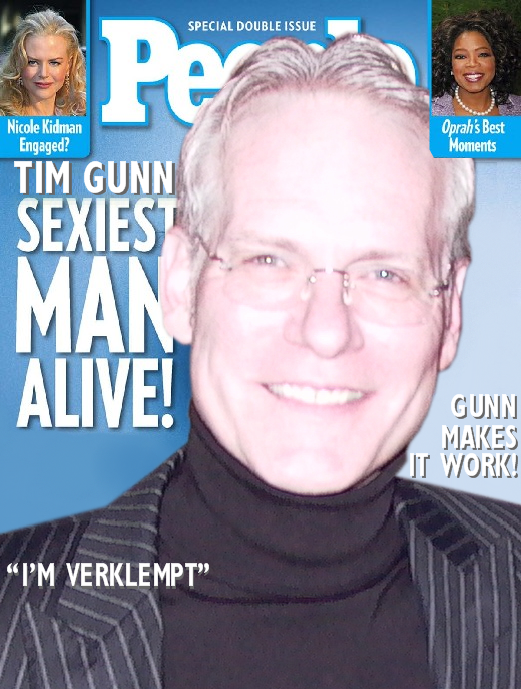 Tim Gunn Presents Summer's Must-Have Looks on "The Revolution"
Heidi Klum Wins Fragrance Industry "Fifi" Award for "Shine"
Heidi Klum's "Shine" fragrance, introduced in 2011 in collaboration with Coty, won the "Fifi Award" in the "Broad Appeal Women" category. 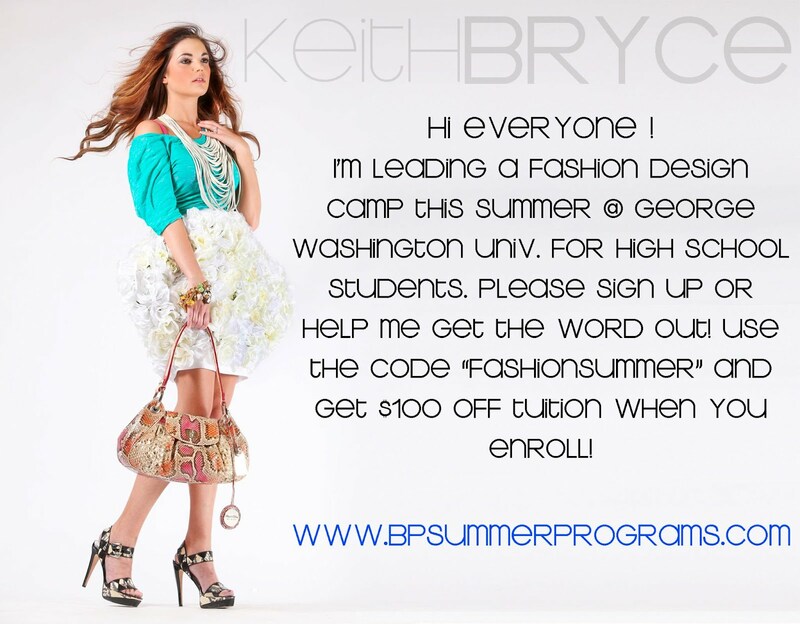 Heidi Klum Sings "Turn Up The Night"
Project Runway Season 5 designer, Keith Bryce is offering a fashion design camp for high school students. Click here for more from The Fashion Court. 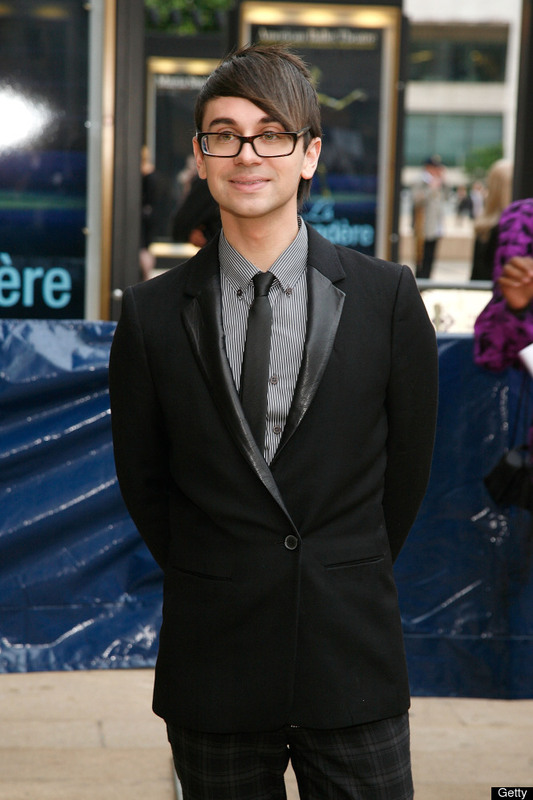 Click here for more from Christian Siriano. We love the stories from the Kate Spade, Lucky Brand, Juicy Couture fashion shows featuring Tim Gunn. This one comes from Kansas City. Tim has two charming bookends! 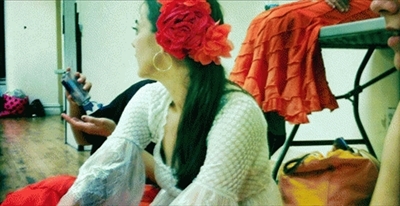 Season 3 designer Stacey Estrella talks about her passion for Flamenco. (Source.) Don't miss the recorded interview. Photo courtesy of Kizzy Cox for NYCity NewsService. Speaking of Tim, Shopping My Cardio has an interview with him as part of his recent appearance in Portland. Check out Tim wearing colored denim! Photo courtesy of Shopping My Cardio. 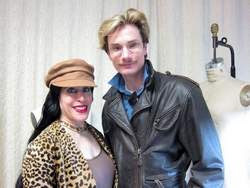 Season 9 designer Kimberly Goldson has landed an impressive new gig as part of Zappos.com "Emerging Designer Program". Zappos is looking for new trendsetting designers that have not yet made it to the mass market and Kimberly is one of the first they are taking a chance on. 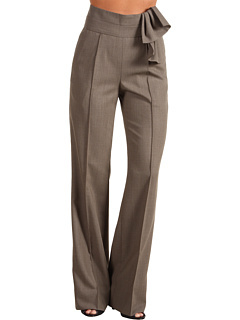 She has five pieces in this initial offering, including one of her signature pant designs. You can shop her new collection as well as see a new video interview with Kimberly at the Zappos website. Congratulations Kimberly! 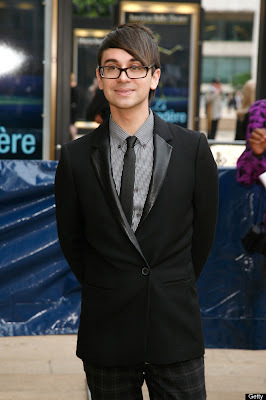 Christian Sirano attended the American Ballet Theatre 2012 Spring Gala on Monday, May 14th. Project Runway Season 6 Finalist Carol Hannah was "inspired by the luxe garden fetes of F. Scott Fitzgerald" and offers a "collection of refined opulence and sophisticated whimsy. 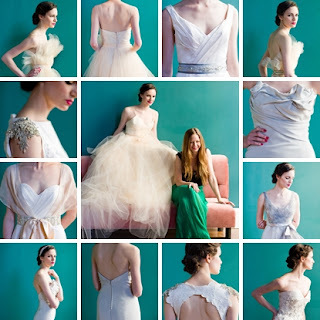 Click here to see her collection. All images courtesy of Carol Hannah. Stay tuned for beautiful images from the Carol Hannah collection from Spring 2013! 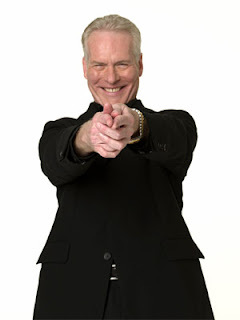 You will be romantically inspired when you see what this Project Runway Season 6 has to offer. 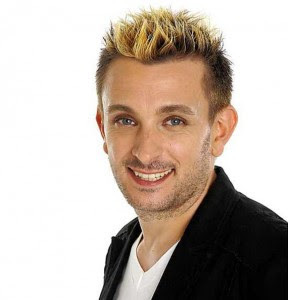 The Winner of "LOOK TV's Project Runway Talent Search." 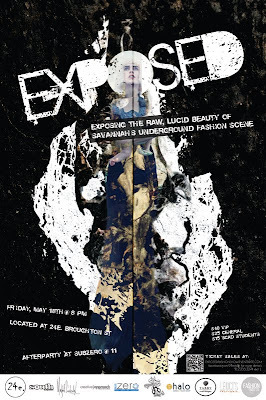 Heidi Klum is the New Face of "Clear Scalp & Hair Beauty Therapy"
"Exposed" at 24e on Friday, May 18th in Savannah, GA will feature fashion from Project Runway's April Johnston, Peach Carr and Michael Drummond. 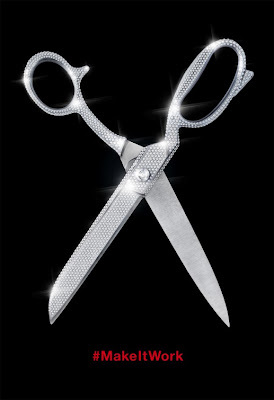 "Fashion Star" fans - tune in to NBC at 8:00 tonight. Heidi wore a lace Escada gown to the Met Costume Gala last night. Click here for more. 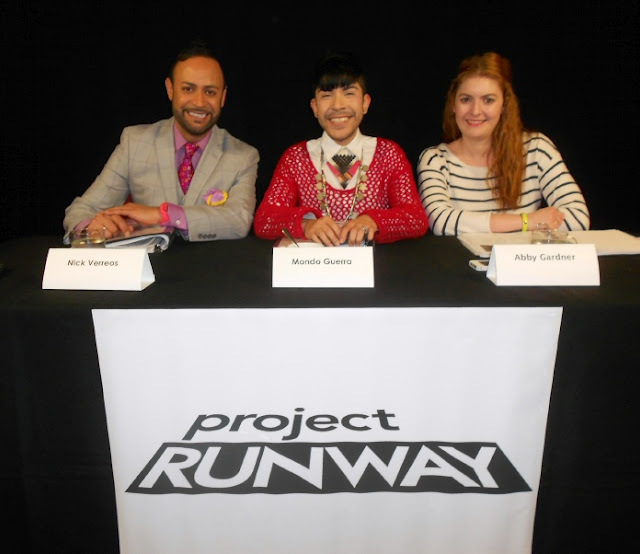 Project Runway Season 2 designer, Heidi Elnora and season 3 designer Jonathan Kayne (Gillaspie) will be showing runway collections to benefit the University of Virginia Art Museum on May 10th. 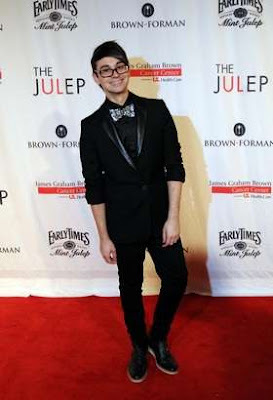 Project Runway Season 4 champion, Christian Siriano, attended a pre-derby charity event to benefit cancer research. Nick has been at the castings for the last eight seasons! Click here for his recap of the two-day event with Mondo Guerra in L.A. 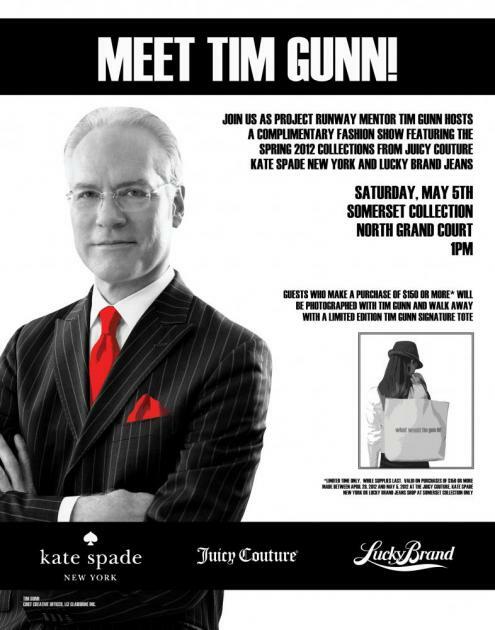 The Tim Gunn Spring Tour continues tomorrow in suburban Detroit at the Somerset Collection at 1:00 p.m. Tim will be showing off the latest from Kate Spade, Juicy Couture and Lucky Brand at a free fashion show followed by a Q&A. There may even be a Tbone sighting! Lots about Project Runway has changed since the premiere in 2004. One constant has been the fabric shopping destination - Mood Fabrics. Even when the show moved to Los Angeles, the designers visited the LA store or the "Mood Annex." A highlight: In terms of selection and volume, Mood Fabrics claims to hold about 80% of the fabrics available in the Garment District, and says if they don't have what you're looking for, they are happy to direct you to the other 20% in smaller shops around the neighborhood...The turnover rate of their stock is amazing and you can come in two weeks after your last visit to find literally hundreds of new patterns and textiles. Click here for the Mood website. "Porgy and Bess" has received 10 Tony nominations including "Best Costume Design" for Emilio Sosa.